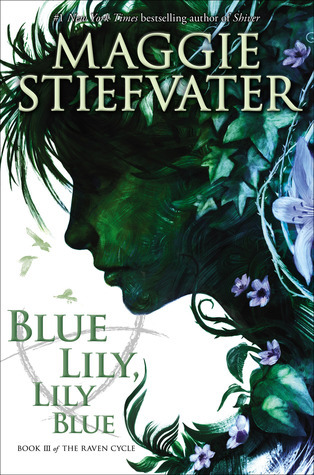 Blue Lily, Lily Blue by Maggie Stiefvater, narrated by Will Patton, is the third book in this series, and it is such a strong series of books. Listening to these back to back on audio with the fabulous Will Patton as the narrator has been an immersive experience. 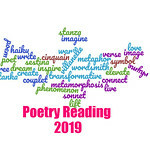 Where a hot room can feel like a jacket closing you in, readers will fall into the world Steifvater has created, wanting to uncover the magic and secrets within the pages quickly, but at the same time struggle not to linger over her images and poetic prose. Adam and Blue are sent on a journey into the caves with the other Raven Boys, but as they are less sure of their own abilities, they are edging closer to a precipice they may not come back from. What do you so when your psychic mother disappears, the Greenmantle comes to down to unearth darkness, and the Raven Boys are ever closer to discovering the resting place of a former Welsh king, Glendower? While things have seen more certain, they are less certain than ever because the ley lines are in disorder, dream thieves are rifling with things they do not fully understand, and others are scrying in the search for guidance. Time is fluid in this book, and so is what is real and what is not. Stiefvater has woven a believable world in which readers will be trapped with Blue and the Raven Boys, searching for the unknown and hoping for answers. Blue Lily, Lily Blue by Maggie Stiefvater, narrated by Will Patton, reveals answers and poses more questions, but readers will never tire of this world and its fantastical elements. Her characters are nuanced, engaging, twisted and damaged, but they all cling to some form of hope, a hope that things will improve, things will go their way, and that all will be re-aligned as it should be. However, what they believe it to be, might not be how it ends up when all is said and done. Stiefvater is a rare talent in the young adult fiction genre. I can tell you’re loving that series. Did Stiefvater design the cover too? I think that’s another artist, but I could be wrong. This sounds like a good series. Glad you’re enjoying it!